I think you will be great for the Boss Life! 26 Campaigns a year so you always have something new and fresh on sale for your customers… this helps keep your customers wanting more. $25 / $50 / or $100 Starter Kits available which include everything you need to get started including FREE full sized products and samples to share with potential customers. Have you seen Avon catalogs? Avon catalogs sell the products themselves. 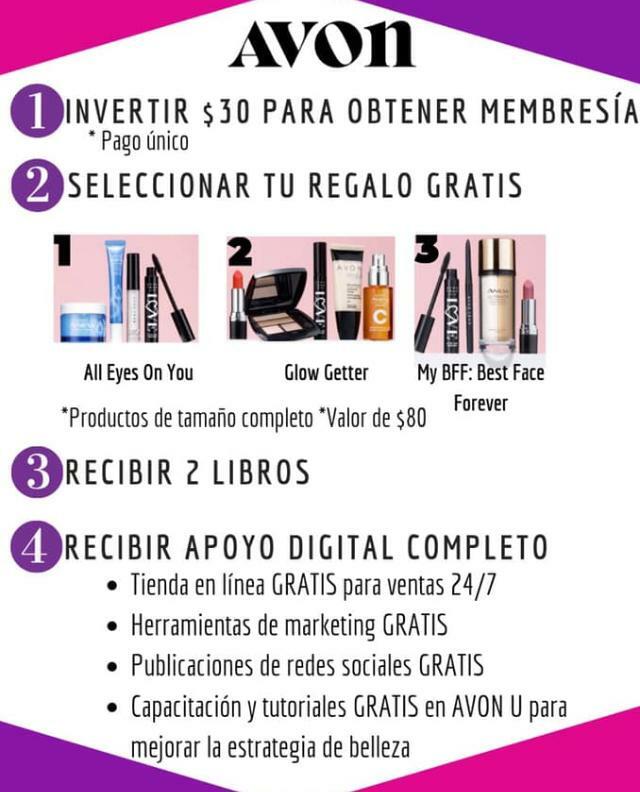 If you have not seen an Avon catalog, please click on the below image to view one. You will be amazed at the large variety of products (shoes, purses, fragrances, candles, Jewelry, Home accessories, Watches, cosmetics, and award winning skin care) and the affordable prices. Everything is priced to sell! Since a majority of the items are consumable they will be used up and ordered time and time again by your loyal customers. 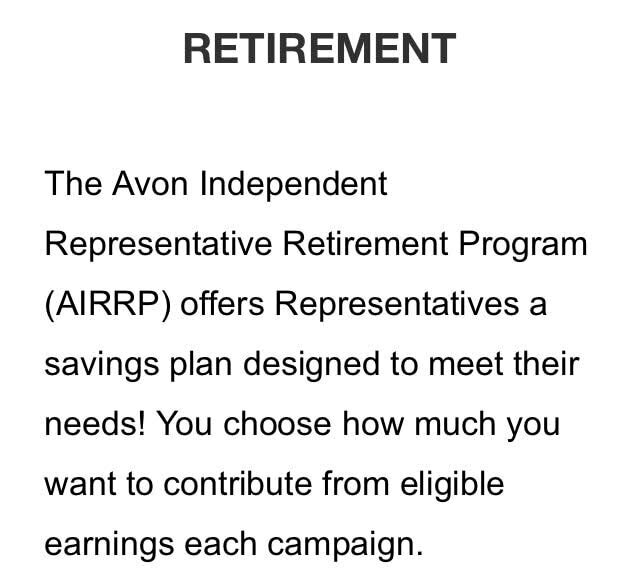 2) Trips, bonuses, and optional benefits... and when you sell $10,000 in award sales in one calendar year you qualify for Presidents Club and will receive a guaranteed 40% commission on all Avon core items. Even if you place a $50 campaign order you will still earn 40%. Once you qualify you start earning the 40% for the remainder of the current year and you receive the earning level the next full calendar year and earn 25% on all fixed items and online orders. 3) Full training and support provided. Be in business for yourself but not by yourself. Avon will assign you a FREE business coach who is paid to help us plan goals and achieve success. There is FREE online training courses and corporate trainings also available several times a year. 5) New catalogs come out every two weeks, and there is always something new and exciting to offer your customers. When they receive their order they already have a new catalog to order from. They can also view the catalog online and share with their friends. 6) Scented catalog pages, When a new fragrance is released customers can smell the fragrance on the page (only if they rub their wrist over the scent spot). 8) Avon is the only direct sales company that advertises on major TV channels and magazines to keep Avon on your customers mind. ​9) Avon creates marketing videos and the social media center so you can focus on what is truly important... working your business. 10) When you are growing your business and mentoring others Avon will give you the option to receive (leads) people who are interested in starting their own Avon business. There are FREE tools to follow up and help them get started. Are you on Facebook, Twitter, and Pinterest? You will love Avon Social! Avon's marketing department creates posts, videos, and more that are linked to your Avon Store. All you have to do is click on the calendar and you can schedule posts to share, and then click on the social media platform you want share it on and your done. Do not waste a single minute of your day creating business posts. When your social media follower / friend see's something they would like to order all they have to do is click on your post and they are taken into your store to purchase it. Below is a Avon "Sweeps" Sweepstakes banner that you can share on your website and on your social media pages! Customers, and potential new customers can enter the sweepstakes and if they opt in, you can see their contact information and mail them s catalog or samples in the mail if you choose! They will automatically receive Sweepstakes updates and promotional email from Avon. You can click on the picture to see how it will look for your customers.